David Lieb knew his company Bump was going to take off when strangers dressed up as the app for Halloween. While at the University of Chicago, he built the app so he could more easily exchange contact information with new classmates by physically bumping their phones together. Bump was no blip. The app exploded. It was downloaded 150 million times and hit #2 in the App Store. Apple even featured Bump in a commercial that aired on prime-time television. Five years after Bump launched, Google bought it. Lieb, now the Product Lead at Google Photos, learned a lot about what drove and deterred users at Bump. For instance, the team added photo sharing on a whim. When users began bumping photos, the team built a new app, Flock, to simplify the process. It predicted the photos users wanted to share and could transfer them without physical contact — a much more frictionless experience than Bump. But it flopped. Drawing from his talk at First Round’s CEO Summit, Lieb identifies what Flock crystallized for him: the risk of cognitive overload. He defines the phenomenon, explains why it matters and shares how to test for it. 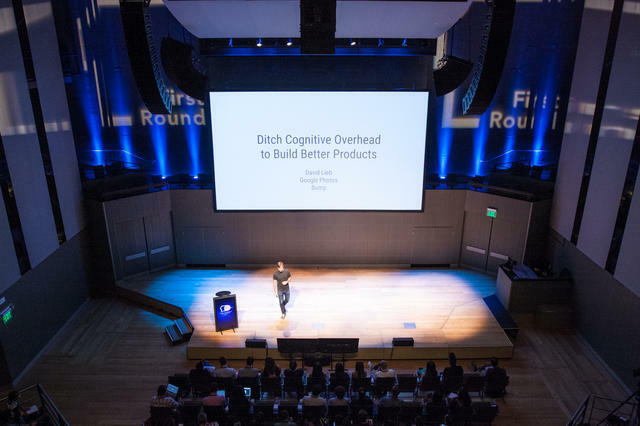 To help his fellow product leads and teams suffering from it, he dispels four myths about cognitive overload — and how to keep it from holding back your products. Here Lieb outlines four assumptions you’re unknowingly making and how to resolve them. Assumption #1: It’s best to make choices for your users whenever possible. Reality: Involve users in decisions. It increases their understanding and engagement. The rise of bots, AI, and machine learning enable products to automatically make better and more decisions for users. It’s part of the quest for less friction and fewer steps in products. But according to Lieb, the opposite may be better: help your users become part of the process — it’s what they want. Lieb notes the same behavior at play with Google Photos and its “Free Up Space” feature. It’s designed to counter that dreaded “You don’t have enough storage to take this photo” popup that emerges as you’re trying to capture a special memory. The feature is essentially a button that, when pressed, deletes any photos that are already backed up to Google Photos. 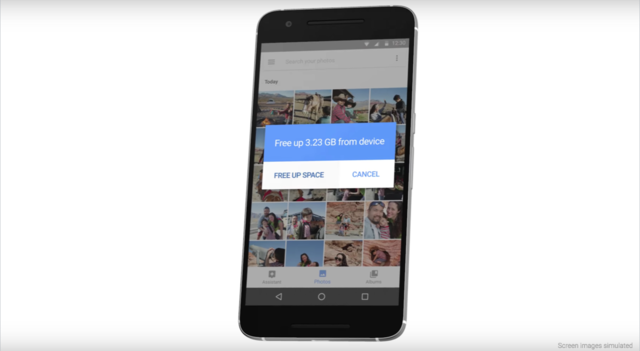 It’s become one of Google Photos’ most popular features. Lieb’s recommendation: Map out if, when, and how you are going to automate a feature. Ask others what that feature does to get at the “why.” Analyze not just each user action, but their corresponding reaction. Just because something seems simpler doesn’t mean it is. Assumption #2: It’s best to delight your users with first-of-its kind features. Reality: Familiarity is the top driver of adoption. What is this app or product for? “Look at your own products and see if they pass the young, old, and drunk test. If not, think about ways you could slow your product down, or how you can make your user do more work, or how you can make it look and feel a little more ordinary,” says Lieb. Who are your best cognitive overhead detectors for your products? The young, the old and the drunk. Assumption #3: Diverse features lead to a highly-engaged user base. Reality: Build for consistency — not variety — to form habits. Product teams are frequently tempted to build more functionality into a product to increase the probability of an addictive feature — one that’ll keep users coming back for more. Yet a multiplicity of features increases cognitive overload and makes it more difficult to cleanly answer the question: What is this product for? Lieb’s recommendation: Choose your lane and stay in it — for your users’ sake. Reid Hoffman once said that most people use about 7 — give or take 2 — web products daily. Breaking into that cycle is supremely difficult. Especially early on, double-down on consistency, so if and when you break into that rotation, you reliably deliver on your promise, meet expectations and retain users’ attention. Reality: Time instills trust and quality. Lieb’s recommendation: Moving the user along a millisecond faster isn’t always the goal. Ask yourself what choices can you make to increase user recognition? Would a few more seconds give your user time to consider the value you’re adding? That may teach them how you’re doing it and why it matters. A/B test features and look for an uptick in repeated behavior. Optimize for your user navigating more quickly — indicating comprehension and confidence — not your app. Make people work more, not less. Put your users in the middle of the action, so they can see what's going on around them. That might mean using a button as a checkpoint or extending a flow to ensure a process — or added value — sinks in with users. Make the user make choices that you could have easily made for them. Doing this will make the product a lot more simple and easy to understand for users. Slow down your product. Don’t speed it up. Give users a better sense of what's happening behind the curtains and underneath the hood. It’ll increase the likelihood that they’ll recognize, value and explain what you’re doing. You've heard that Google speeds up their search results over and over, but it actually goes the other way. Make you product look and feel ordinary. It’s not all about the new. The brain contextualizes and abstracts new things relative to known things. By making your product look and feel like the old boring product it's replacing, you can actually help your users spin up and give them a better understanding faster. Of course, differentiate and select your parts to improve, but stand on the shoulders of predecessors first. Lastly, bring in the experts: the young and old. If they’re unavailable, head to the bar for a demo.